The Banat is a uniquely fascinating example of a European cross-border region, incorporating parts of western Romania, northeastern Serbia and a small area of southeastern Hungary. 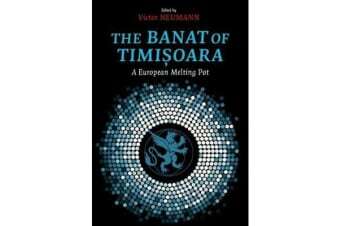 The team of historians, headed by Professor Victor Neumann of the West University in Timisoara, who have contributed to this volume are drawn from across the three modern nations of the region. They analyse the history and culture of the Banat from the earliest times, focusing on the 300 years since it was captured from the Ottoman Turks by Prince Eugene of Savoy. Today this ethnically diverse region has a distinct character of its own, and its Romanian seat, the city of Timisoara, exudes a character quite different from Transylvania and the rest of Romania. This new English edition of the book (originally published in Romanian in 2016 under the title Istoria Banatului) has been expanded and is published to support Timisoara’s designation as European Capital of Culture in 2021.